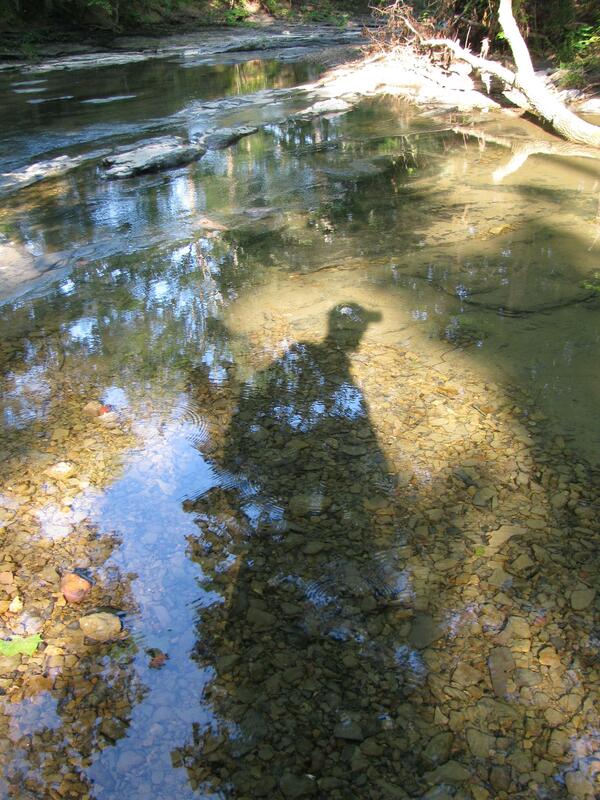 I spent a lot of my adolescence playing music, listening to music, brooding, and walking in the woods. That was over 20 years ago, and since that time, the contours of the Southern Bluegrass have become etched in my deepest mind. Without trying much, my thoughts follow Lebanon Road south out of Danville, KY, past the car dealerships and small industry, past the small farms, through tiny Parksville to the edge of the escarpment, then up and over, past trailers, rusty old cars, bottom farms and out of the Bluegrass. This is a place in my mind as much as it is a place in the world, like my mother’s face, or a childhood song. There is a curious order to growing up, to becoming aware of your surroundings, of yourself, and then of yourself in your world. At first you simply know objects; you examine it and I and them, they draw your attention, and you are fascinated. Then your objects become more referential, and your thoughts become dynamic, joined up. Relationships become super-objects. You stop simply knowing, and you start to know that you know, and you start to know that beauty lies not in it, not even in you, but in the knowing. Knowing, and knowing you know. I’ll briefly describe what is both a metaphor for the profound awakening of adolescence, and an actual experience of my adolescence. I, standing in a stadium in the Danville school system’s athletics complex, one hot summer night, probably about age 12, looked south at sunset. 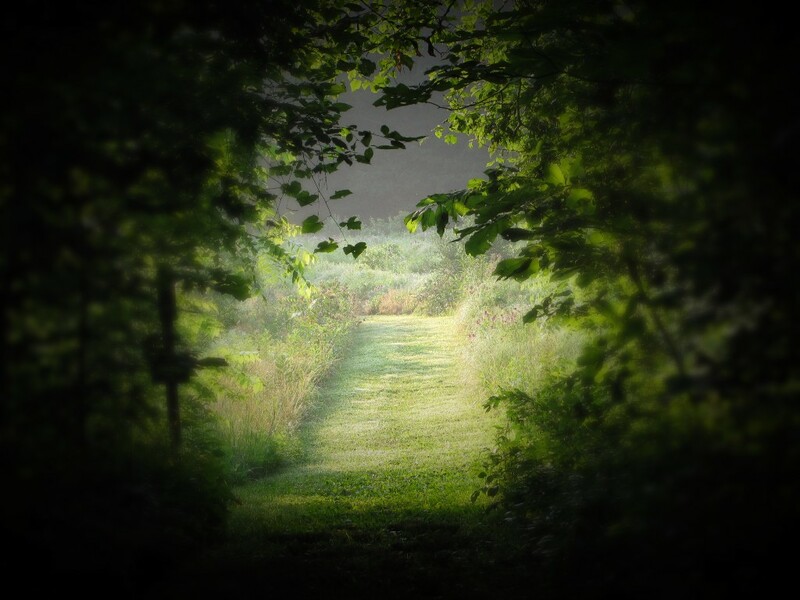 What I saw was a low wooded ridge – ragged, fecund, shimmering summer hardwood. It wasn’t the kind of memory that I would revisit as a 40-something until it became solidified, one following winter, by looking at the same ridge, cold, snowy, seemingly lifeless, scattered with trunks and branches. What was this place? Why was it so different than the small-town suburban life I knew? What was on the other side of that ridge? I found out in due course: I was looking at Forkland, at the knobs. It wasn’t my world, as a 12 year old, but it became my world soon after I got my driver’s licence. In Forkland lies The Central Kentucky Wildlife Refuge. America is so much and so little in the mentality of British people. In all the conversations with taxi drivers and near strangers at parties; in all the tales of trips to Disney, Vegas, NYC, Niagara Falls, helicopter trips over the Grand Canyon; in everything everyone seems to know from pictures: Yosemite Valley, the Statue of Liberty, Cape Canaveral, the Manhattan Skyline, Monument Valley, Highway 1, Route 66, D.C. cherry blossoms on the Mall, amber waves of grain; from yawning coastlines studded with striped lighthouses, to the Great Divide. In all of that, I have never encountered a British person who has known the kind of gorgeous little matter-of-fact patches of America like the one found within the boundaries of The Central Kentucky Wildlife Refuge. It is a secret world. It formed as a non-stock, not for profit corporation, and has maintained close ties with Centre College, the local liberal arts institution. When reading through the names of the original board of directors, each one rings that particular bell that to my mind signals my people, home people, a vague rolodex of place and meaning: Mattingly, Stith, Clay, Ellis, Frankel. 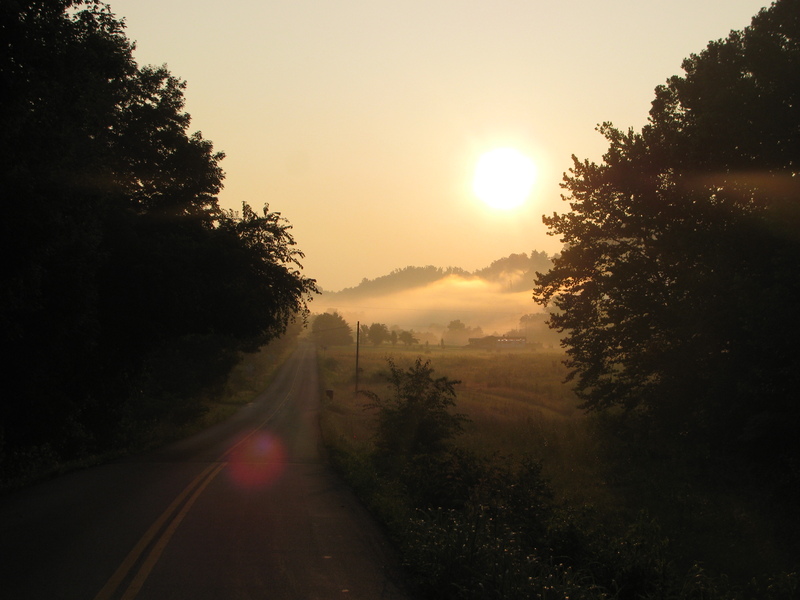 It all started at a dinner party in the early 1960’s, and by 1965 a tract of land was purchased in the Forkland section of the elliptically shaped knobs region surrounding the fertile Bluegrass region. The short, steep “knobs”, or low rounded hills, are the dominant features, preventing the large-scale agriculture and horse farm industry found only 30 miles to the north. 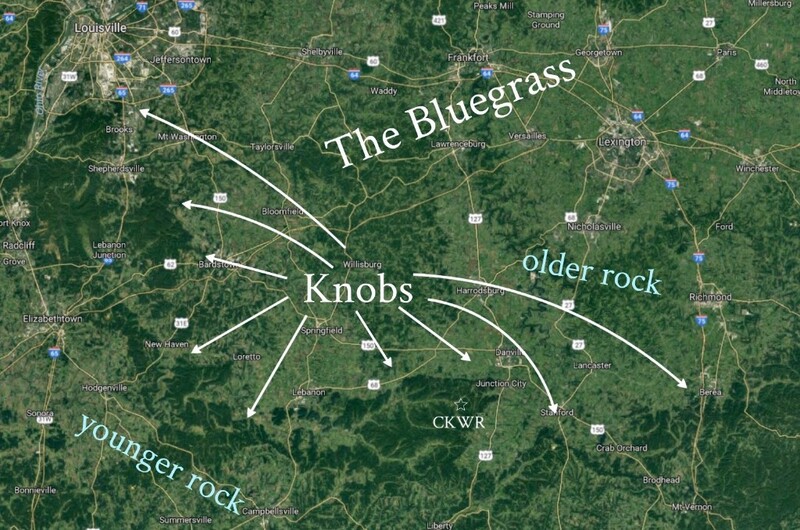 The knobs were never created by the uplift of continental orogeny or volcanic activity; they are not withered old mountain bones, like much of nearby Appalachia. They are, rather, a long-eroded escarpment between the epochs and periods of a remarkably unperturbed stratification of Palaeozoic rock. When walking from the top of a knob to the valley one traverses 150 million years of strata. These knobs are steep, but they are also low and rounded. 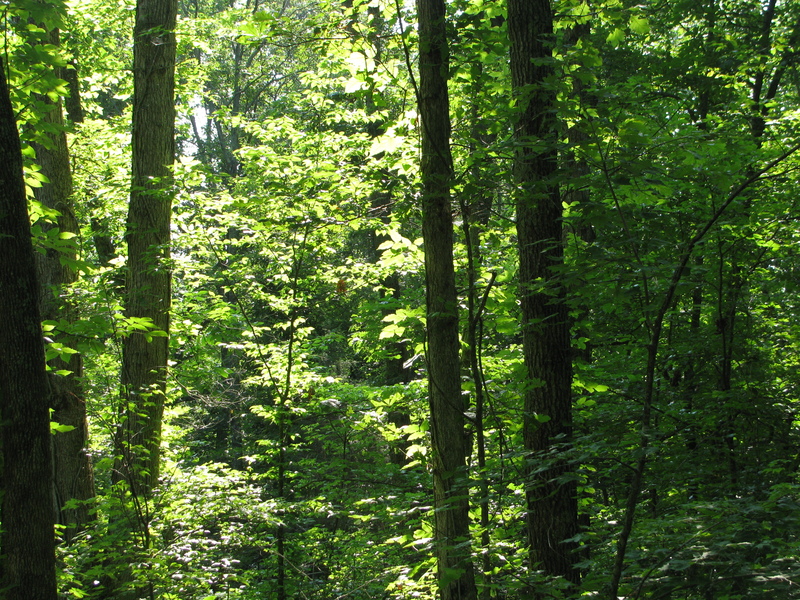 They are mostly seen from satellite images not by their contours, but by their forests. In the image above, the dark green is woodland, and is easy to see the lighter green veins of local watercourses – North Rolling Fork, Carpenter Fork, and others. These are the bottoms, or hollars, where traditionally small tobacco farms dominated before the collapse of that industry. that obscures the place it is in. Un denotes a thing here that is not, for some reason, what the word that follows it signifies. It nullifies, but beyond that it may be neutral. De on the other hand in this case gives a sense of action by an agent. “De-sacred”, desecrated places are not places inherently lacking sacredness, but places that have been stripped of their sacredness. In this Berry is expressing a focussed ontological perspective: that sacredness, or sanctity, is not bestowed, nor constructed, but inherent. This position, well, I suppose I could only say that we would have a very different world, a much cleaner, greener world, if its peoples always approached lands as if they were sacred places, rather than as material resources waiting for our exploitation, as standing reserve, in the words of Martin Heidegger. 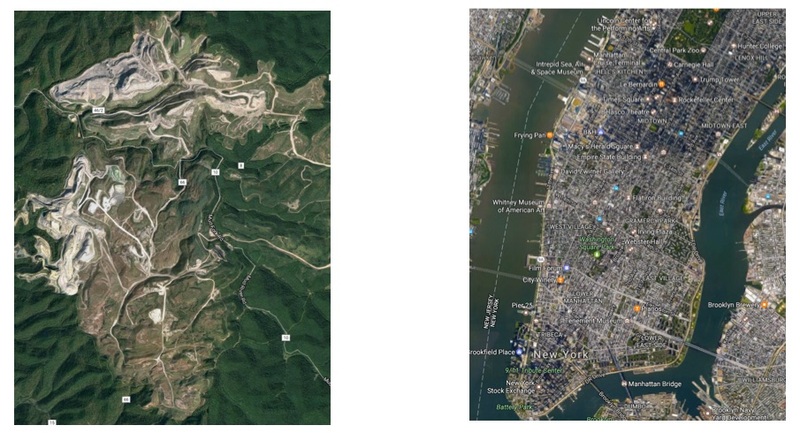 To illustrate, I’ll give you an aerial picture of a West Virginia strip mine, with Manhattan island at the same resolution for size comparison. Which one is desecrated? Well, they are both profoundly transformed by humans, and one may suggest that they are both equally damaged, in a sense, desecrated. But, in Berry’s concept of desecration, the strip mine’s the only one that “obscures the place that it is in”. New York City may be a human place, in the deep sense of the word. It bears human culture, and can ultimately be all about that culture (not that it always is, but that’s a different matter). A strip mine, on the other hand, is inherently about other places, for other places, exists because of other places. A strip mine obscures the place that it is in. On may also suggest that it is untenable to hold an ontologically stable idea of sacredness in the land, whilst on the other hand considering the idea of wilderness a social and cultural construct, which I very much do. But I think therein lies my primary point, and where perhaps I differ in scope from the ideas of more traditional environmentalists and social/ecological critics of the conservationist type. It isn’t wilderness, or even wildness, that must be preserved; the complexity of life and its living systems is and will be so long as we concentrate on something altogether more inclusive. The health or wellbeing of life, perhaps? Bio-robustness, or bio-diversity? Some more universal conception of health? Such ecological ethics must include city streets and coal mines, as well as the deep forests of the world. Hypocrisy looms over everything I do. It would be a mistake not to point out that Berry is talking about what I’m doing right now, and what you are doing right now, which is to sit at a screen on a machine built by people we don’t know, from places we don’t know, with materials ripped from the ground in other places we don’t know, using methods that we don’t understand, with consequences that we cannot fathom. If the badge of hypocrisy means that one may no longer speak, that their claims are null, then there you are. I’ve no right to say what I’m saying. If, on the other hand, you find that being compromised in amongst the crucible of technological hyper-modernity does not necessarily call for one’s complete complicity in all the negatives of that situation, then I may feel right in pointing these things out. What is normally called technology these days may be distinguished from the idea of technology more generally. Digital machine-based information technology may be set apart from its predecessors since the time of the Enlightenment in Europe, when the word first began to appear. I could give you a lengthy description of why I believe this to be true, or I could simply ask you to consider all the differences in skills and materials between a medieval master craftsman, a 1940s airplane engineer, and a modern computer programmer, and let you decide for yourself if I am right. The degree to which the virtual, surrogate realities of the computer screen have replaced even the most fulsome literary/mythic/storied second-natures of the past is something wholly new in human history. But we must remind ourselves! Virtual reality is reality, it is part of it, fully connected, but that fact does not itself prevent us from making distinctions within that broader reality, to give it hierarchical order. Virtual reality – all the corridors of the internet, light speed communication, global information, these proxies of life – are subsequent to, dependent upon, and encapsulated within, a broader physical reality. Second life is and will be secondary. This broader reality does not on the other hand in any way depend on virtual reality ontologically, although the sub-reality may affect the broader reality profoundly. To put it another way, this information exchange we are right now having on the internet is in a concrete, cause-and-effect way, dependent upon a global economic stratification which may be utterly destructive of unknown, disconnected places across the globe. Let’s not forget the children who give us our tin for our smartphones. Again, I am completely complicit in this. I invest much in digital technologies; I keep up with family on Facebook, I tweet, I read about and see images of places from my past, I think and write on screen. I must face the possibility that in doing so I am, in Berry’s words, desecrating some other place on Earth. I have no right to desecrate another place, but I do. What if, for instance, someone else felt about some patch of land the same way I do about The Central Kentucky Wildlife Refuge, and what if that patch of land was sold and ripped into shreds so that the ore beneath could enable affluent people on the other side of the planet to have computers? How would I feel about all this wonderful information technology? I’m not only being rhetorical in asking. I genuinely wonder about this, and I am also at the very same time aware of the enormous benefit that internet technology brings across the world. Perhaps the question, Is it worth it?, does not have a yes or no answer. It is a question that, when taken seriously, shatters the substrate of easy values and unexamined world views. It is great for me to be affluent enough to have this shiny, sort-of-new iMac, but is it great for everyone, for the world? Does that question even make sense?